If you'd like to add title plates to your photos, and you have Photoshop 6.0 or later (including Photoshop CS), these actions can help you. * New * Now with "Chameleon Technology" that lets you tweak the colors of your plates after you add them. In this particular case, the brass title plate was placed on an image that had already been matted and framed. The mat was created with AC's Special Chiseled Mats, and the frame was created with AC's Flexible Frames. You can make your title plates any size, color, or shape that you want. For the text, you can use any color, font, or size you want. 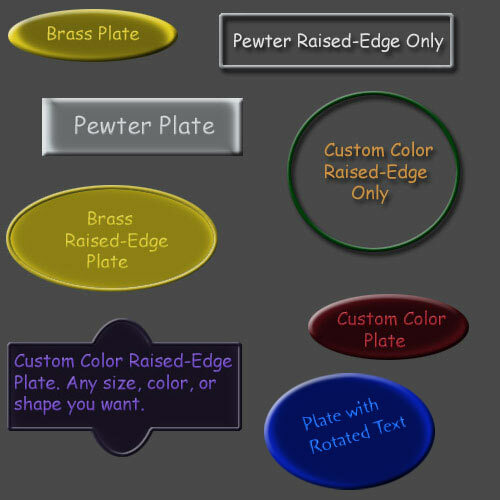 These samples show the default text color for the brass and pewter plates, but you can be as creative as you want. You can resize, reposition, and rotate your plate after you create it. 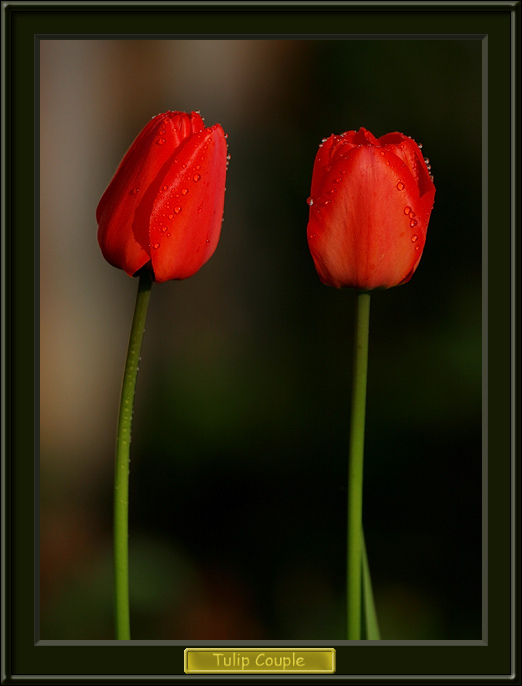 In addition, you can edit, resize, reposition, and rotate your text on the plate.